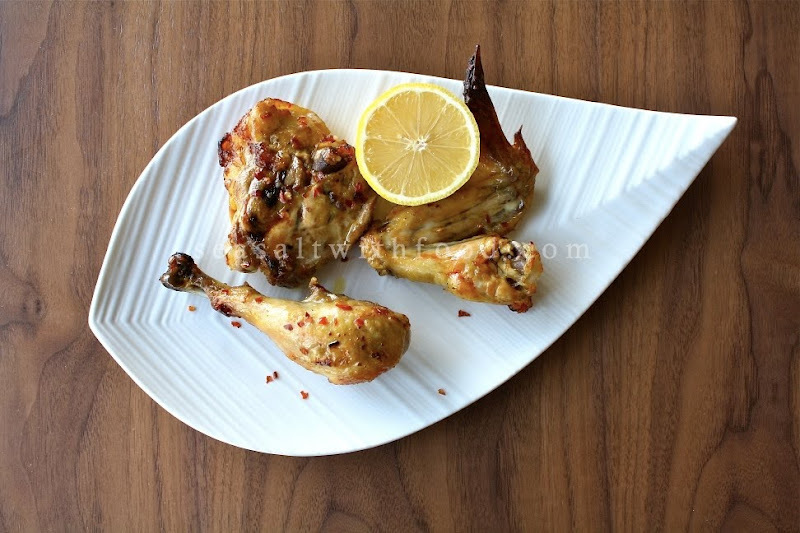 This is a delicious Spicy Lemon Chicken recipe. The amount of dried chilies and pepper suggested by the cookbook was too mild for my liking. So, before I marinated the chicken, I had to adjust the level of spiciness to my liking. The result was perfect, not overly spicy and it did not over power the chicken’s lemony taste. Rinse the chicken pieces, pat dry, and place in a deep pan. In a medium bowl, whisk together the lemon juice, olive oil, red pepper flakes, and white pepper. Mix well. Set aside and refrigerate ¼ Cup of the mixture, and pour the remainder over the chicken. Place the chicken in the refrigerator and marinate for 3 hours, turning pieces every half hour. 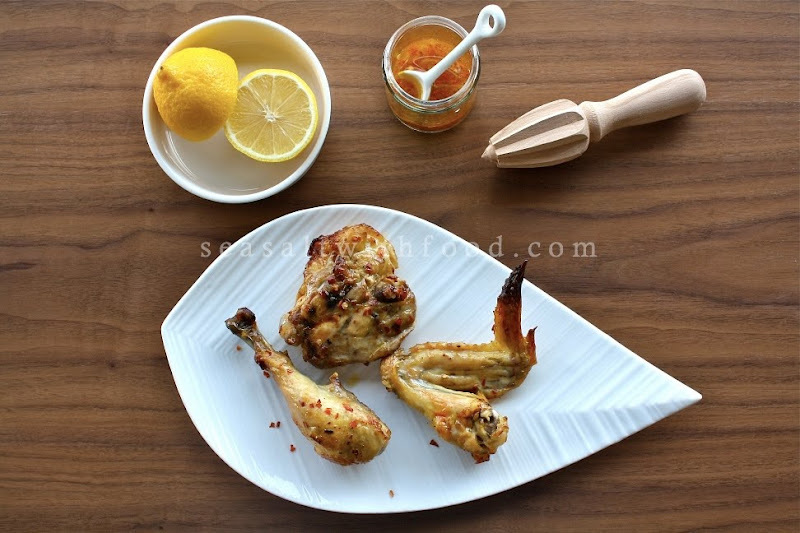 Remove the chicken from the marinade, discard the marinade, season the chicken with salt, place in a roasting pan, and roast, turning to brown on all sides. 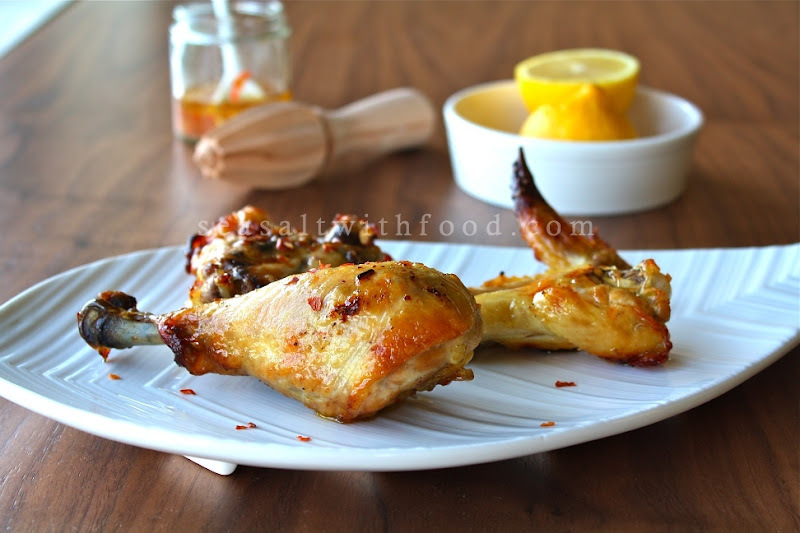 Spoon the reserved ¼ cup of lemon juice mixture over the chicken as it roasts. Test for doneness by piercing with a knife; chicken will be done when juices run clear and dark meat is tender, about an hour. Love the picture. Looks delicious and something I could make after work without a lot of trouble. Thanks! gorgeous pictures, as always! sounds yummy too - I love lemon chickem, but never made it spicy. Your photos are getting better and better!! All these chicken recipes are making me very happy! This looks simple and fab! I like the addition of heat.